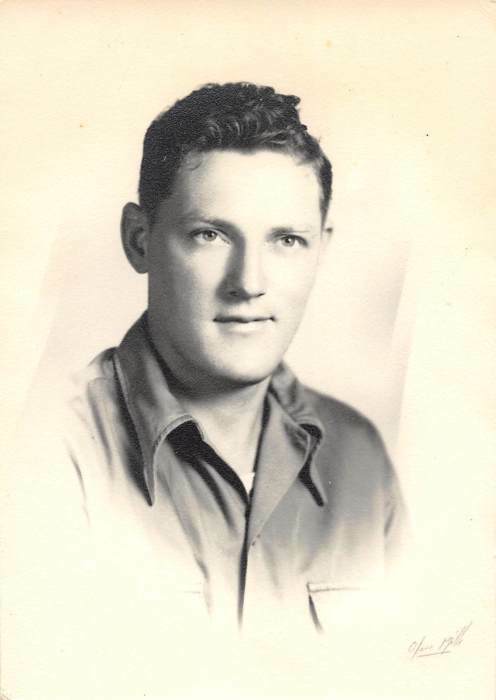 Floyd Roush, 93, of Iberia, passed away Wednesday, January 16, 2019 at his home in Iberia. Floyd was born in Hartford, West Virginia on September 10, 1925 to the late Clinton and Hallie (Sayer) Roush. He married Leora V. “Teddy” Keller on May 17, 1946 and she preceded him in death on June 2, 1999. Floyd was retired from JG Clark Company in Marion where he worked in the Maintenance Department. Floyd previously worked at Alloy Cast Steel for 19 years. He was a veteran of the United States Navy where he served in World War II. Floyd had many loves and interests such as fishing, arrowhead and mushroom hunting. He loved to spend his time taking care of his large 2-acre vegetable garden. He loved his “Beetle Dogs” that he took rabbit hunting. Floyd also had a great love for deer hunting. He loved playing cards. His greatest joy was his family and he enjoyed being with them. He is survived by a daughter, Hallie Freeman of Iberia; his son, Floyd “Rocky” and Jane Roush of Galion; his brother, Clifford Roush of Green Camp; grandchildren, Priscilla Freeman, Tina Freeman, Rachel and Brent White, Chantel and Isaias Ortega, Leslie and John Armrose, April and Jason Amens; 16 great-grandchildren; one great-great-granddaughter. In addition to his wife, he was preceded in death by a daughter, Carolyn Freeman, son-in-law, Terry Freeman, seven siblings and great- granddaughter, Elizabeth Jane Armrose. Burial will be at a later date in Iberia Cemetery, Iberia. The Schneider-Gompf Funeral Home, 303 Portland Way North, Galion is honored to serve to the family of Floyd Roush.